I love to collect different types of collectibles... That sounds kinda funny. Anyways, my boss at work who is about 55-60 yrs old collects random things. 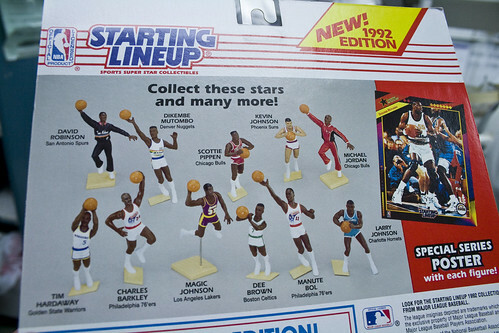 So today he brought in some mint Starting line up toys! 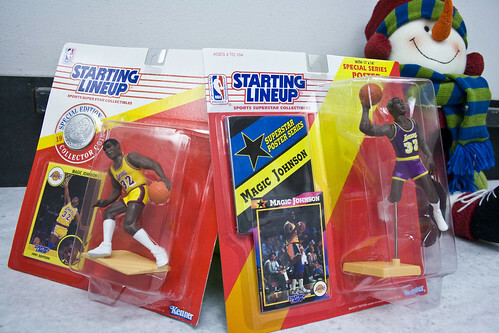 for those of you that dont know, this is straight old school NBA Collectibles. He only brought a few in but he has all of which came out in 1992! 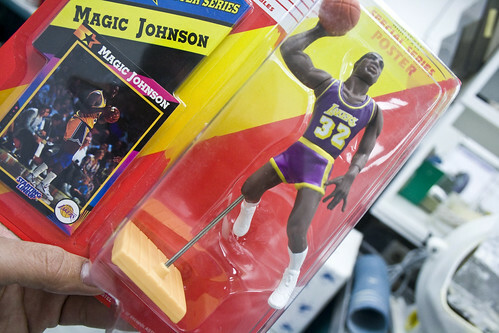 Magic+Jordan+Robinson... Those were the days.